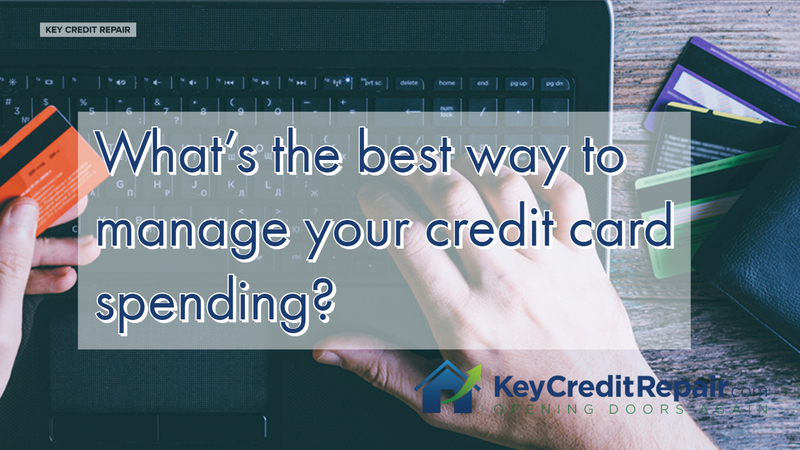 What’s the best way to manage your credit card spending? Home / Credit Repair Blog / What’s the best way to manage your credit card spending? 00:00 Hey guys, credit question of the day coming from [Shanta Clark 00:00:03]. Thank you so much for sending us this message, um, and for giving us this post. So- so Shanta asked, “What’s the best way to manage your credit card spend?” Guys, the best way to manage it is to not use them. Call me old school. I’ve met a lot of rich people in the last 10 years and the general consensus is cash is king. Spend all the money in your pocket. Budget all you want, but if you can’t budget, don’t worry about it. 00:28 Save some money every week out of your paycheck. Um, and then if you wanna burn through everything else, burn through. Have fun spending it. Have a ball, okay? Let’s stay away from credit card debt. There shouldn’t be credit card spending. There shouldn’t be, uh, any credit card spending management. That shouldn’t be a tool. It shouldn’t be in system … It shouldn’t be a system. If you’re caught up in the points game, you’re dead in the water already guys. 00:52 So again, my suggestion … Um, Shanta Clark, again, thanks for your question, but my suggestion is stay away from the whole darn thing. It’s the number one wealth buster in the United States.